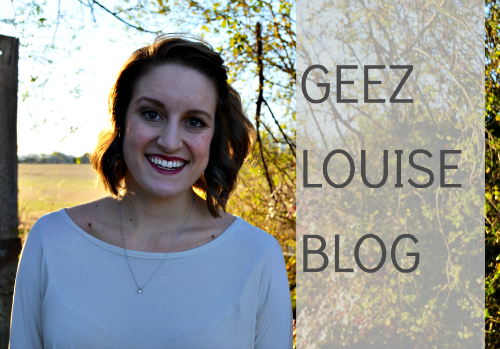 I never can decide how I feel about "recapping" my vacation on my blog. But then again, I usually enjoy reading about other peoples' vacations (if they're written in an non-boring way) so I reckon I'll share mine. Also, I want to remember this trip and all the little things that happened during it and this is my blog and I do what I want. We decided earlier in the year that we wanted to take a small vacation/trip for my birthday, which also happened to be Easter weekend - it worked out because it gave us a three day weekend! Neither of us had vacationed in Georgia and we threw around a few ideas (Savannah, Tybee Island, Jekyll Island, ect) but ultimately decided on Jekyll Island because it seemed to be the most "relaxing" of our choices - it's the smallest of the coastal islands (less than 6,000 acres) and it's the majority of the land is preserved as part of the national forest. On the first day we rented bikes and literally rode around the whole island (and stopped for food along the way). Not a bad view for an afternoon! I loved riding through the historic district...and the gorgeous live oaks covered in Spanish moss. This was probably the most fun we had the whole time. Even though by the end of the day I was sunburned, sweaty, and had a sore rear end, it was definitely the best way to explore the island. The second day, we had planned to rent kayaks and explore the marshy parts of the island but the weather ended up being kind of cold and rainy, so we hopped in the car and drove over to St. Simons Island and did a little exploring during the morning. We climbed 129 stairs to the top of the light house, drove through the "rich part" of this island to admire the houses (please tell me I'm not the only one who loves doing this?? ), and went to Ft. Frederica which is actually the remnants of a colonial town that didn't thrive. Sunday morning we attended a sunrise service on the beach. I really enjoy the intimacy of worship in early (really early) morning. It was so beautiful to watch the sun rise over the ocean after the service was over. Afterward, we came back to the condo where I watched Grey's Anatomy and sipped on coffee while Derek napped, then we walked around the island a little more to take some pictures. Driftwood beach, probably my favorite part of the island. Another view of driftwood beach, behind us you can see a few of the hundreds of trees along the beach that have been washed into "driftwood." The three pictures above are probably some of my favorite to date that Derek and I have ever taken. It was windy and a little cold and my wireless shutter wasn't working, but I absolutely love them. Maybe one day I'll share the outtakes where I'm running to get in the photo in time after I've clicked the 10 second timer. The best place (in my opinion) we ate was the first place, and unfortunately it was all down hill from there. We stopped here to eat after about an hour of bike riding. We were famished, so maybe that's why it was so good. We also had several bloody marys so that might have helped too. Derek got the shrimp quesadilla and I got the crab flatbread. Both got five stars from me. This was the restaurant at our condo site. It wasn't bad, but it wasn't the best food I've had either. I had shrimp and grits...the shrimp was shrimp and the grits were grits, but they topped it with some kind of red pepper cream sauce that was amazing. The second best part was the $10 bottles of wine. Quite possibly the worst dining experience of my life. We chose to sit outside since we saw a band warming up and I'm a sucker for live music and eating on patios. It doesn't seem like there could be a "bad part" when it comes to sitting on a patio, listening to live music while the sun sets over the bay behind you, right? Well the BITING GNATS thought otherwise. I couldn't enjoy my meal (which was pretty bland anyway) at all and before I was half way through, I was so ready to go, it wasn't even funny. Note to self: humidity + sunset + steamy hot food = tons of bugs. All in all it was a great vacation, the only thing I would change would have been to stay a little longer due to the fact that it was a nearly six hour drive to get there, which took up a lot of our time. I had fun and I definitely plan on going back one day! Do you prefer fun and exciting vacations filled with adventure, or the slower paced, relaxing type? 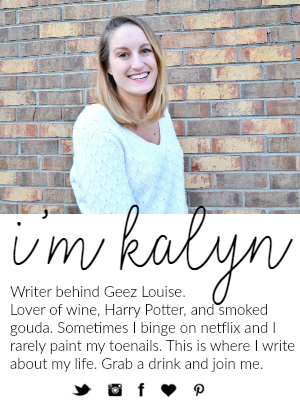 Those pictures of yall are awesome! I love the driftwood! Beautiful! 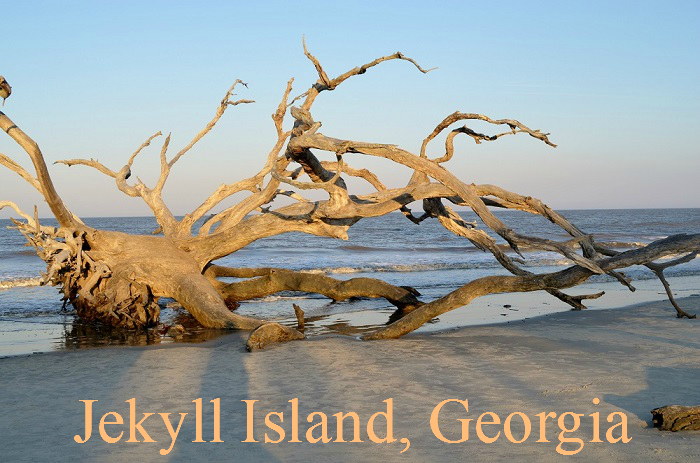 I've never heard of Jekyll Island but that driftwood beach looks amazing! I've never seen driftwood like that. My sister got married on Jeckyll Island at the Beachview Club. I loved it there. I haven't been back since her wedding, so maybe we need to make a trip. It's 5 hours for us to get there, so we would have to take some days off, but it would definitely be worth it. It seems that you guys were able to relax and just enjoy your time together, which is so important. You got some great photos. Looks so beautiful there! That second to last picture is so cool! Your pictures are beautiful. It makes me want a beach vacation. Also, I love driving around rich neighborhoods and looking at the houses. Some people just have too much money. Your pictures are great (and I LOVE those pants, by the way.) Driftwood Beach looks so cool and now I want to go to Georgia. I've played golf on Jekyll Island. It was so pretty and there were deer everywhere. Have you been to St. Simons Island nearby? There is a cute little inn we stay at when we go there and a nice little downtown area. Looks like you had an awesome time, even if the food wasn't the best (and finding local food spots is probably 80% of the reason we travel). I would love to take a weekend getaway soon...this has been a rough winter! I've actually been to Jekyll Island, we went to that driftwood beach as well. It looks like y'all saw and did more than I did, though. And it looks like you had an amazing time! I went to Jekyll island once for a fraternity formal, and was far more focused on boozing than seeing the sights. I would love to go back now and take it all in, especially this gorgeous looking driftwood beach. Beautiful photos!! Pour 46,33 EUR, nike france away jersey vous pouvez obtenir; le White Green Oscar avec Oscar le asics gel kayano trainer evo femme dessin animé de Sesamestreet sur les adidas zx flux w chaussures noir blanc côtés. La reproduction proposée sur la Mark I a nike air jordan 12 retro 46 été rejetée et le gouvernement américain air jordan 13 france a demandé à des fournisseurs de couteaux militaires adidas zx flux chaussures noir turquoise d'élaborer des spécifications pour un couteau chaussure adidas zx flux w b26301 gris de combat moderne utilisant les motifs de votre Mark air jordan 11 retro concords prix I et les couteaux de chasse nike air jordan rouge / couteaux civils. Il existe différents modèles de cette chaussure.